Tour La Quinta Resort and hear and see its rich history through the eyes of its former general manager. 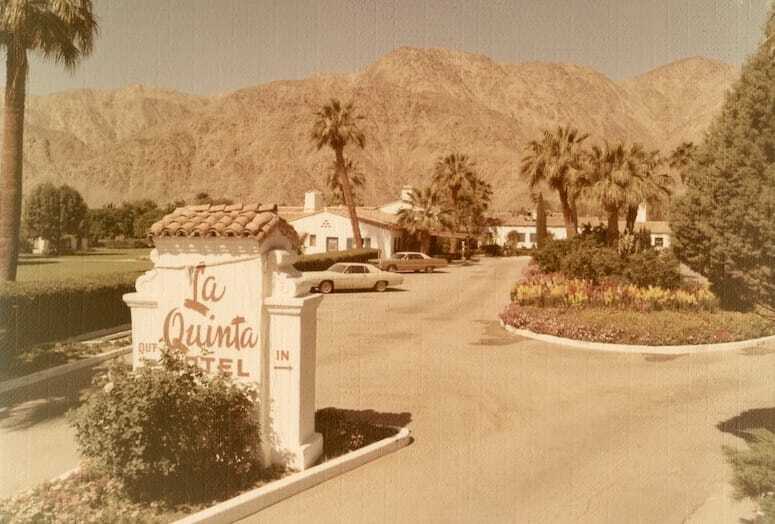 La Quinta Hotel in 1965, which started with just 14 original cottages. Judy Vossler recognized her voice immediately. From her general manager desk at the La Quinta Resort & Spa, she knew the voice she heard belonged to Candice Bergen. Bergen, who was starring in the TV show Murphy Brown, which coincidentally has made a recent comeback on CBS, was trying to find the room that she stayed in at the hotel. Vossler says they began walking and Bergen didn’t miss a turn. Vossler shares many such anecdotes during a 90-minute walking tour of the resort where she details the resort’s rich history and unique characters who stayed there. She served as the resort’s general manager from 1980 until 1993, and also worked for Landmark, one if the hotel owners in the 1970-80s, and witnessed its expansion during that time. “I was blessed and had the privilege of going through almost all the phases of remodel, so it’s ingrained in me,” she says. The annual tour is set for 10:30 a.m. Dec. 8, but the deadline for tickets is Dec. 6 — $45 for members of the La Quinta Historical Society and $55 for non-members. A catered lunch at the resort is included after the tour. For information and to purchase tickets, visit eventbrite.com. VIDEO: See highlights of the tour of La Quinta Resort featuring tour guide Judy Vossler.